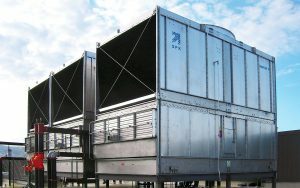 SPX/Marley offers the widest range of cooling tower products, from the NC Everest - the largest single-cell, factory-assembled cooling tower in the world - at a maximum single cell capacity of 2,189 tons, down to the Aquatower which offers its smallest design point at 8 tons of cooling capacity. Along with many cooling capacity design points, Marley also offers a variety of cooling tower construction configurations included cross-flow induced draft, cross-flow forced draft, and counter-flow towers, Each designed for a specific application and/or installation challenge. No matter the cooling capacity requirement or the application challenge, Marley offers more solutions than anyone in the industry.